Weekday Diva: Yaay or Nayy .. Sairoz in Metallic! Your vote? Yaay or Nayy .. Sairoz in Metallic! Your vote? 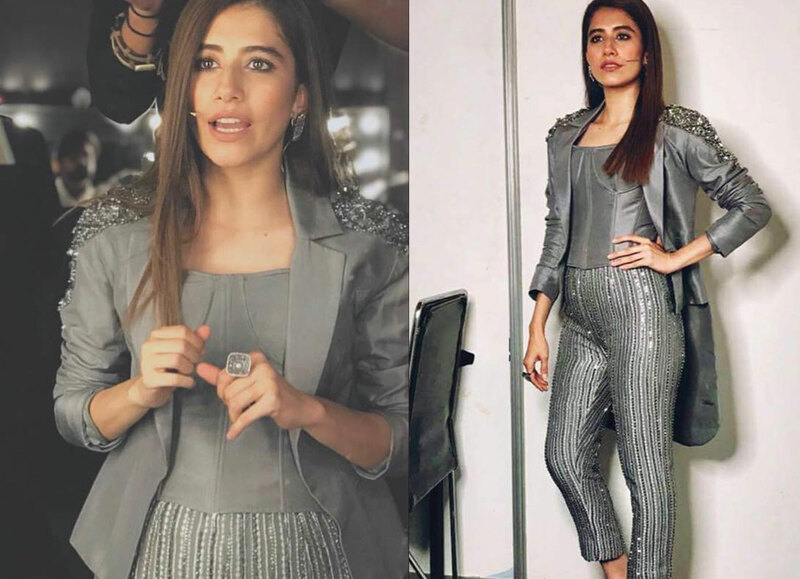 Syra Shahroz A.K.A Sairoz wore a metallic and her fans are drooling over her look. Red hair, skillet toes and the overdosing metallic make our favourite Sairoz stand out from the divas around this weekend. From embellished shoulders to beaded trousers, Syra for a change was looking bold and beautiful of course. Also, her hair perfects fitted into the look as the whole look was handcrafted. Photo Alert: Sana Fakhar celebrating 4th Birthday of her little one!